What better combination could there be than a MMORPG capable of stealing your life away, and a portable system on which you can play it anywhere you like? That way, you can leave material reality entirely, and submerge yourself entirely in the fantasy world. But Rock has gone one better. 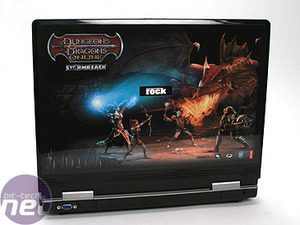 Teaming up with Atari, Rock has created a Limited Edition model for those who love one MMORPG in particular – Dungeons & Dragons Online Stormreach. The centrepiece is the lid artwork depicting a merry band of adventurers tackling a fiery red dragon. For those who like to wear their gaming tastes on their sleeve – or at least their notebook’s sleeve – it could be just what you fancy, especially as the game itself comes bundled. Other than the artwork, though, this is a pretty standard notebook. The chassis is based on Rock’s Pegasus 650 model, although slightly different specifications are available. You can get Pentium Ms ranging from a 1.86GHz 750 to the flagship 2.26GHz 780, with up to 2GB of RAM. 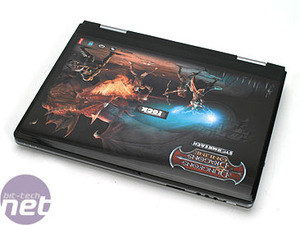 But there’s no dual-core option – Rock still reserves that for its Xtreme CTX notebook. We were sent the most basic specification available. Whilst this is fine for a general-purpose notebook, it does have one weakness for gaming which is obvious without even having to fire up a single benchmark. We wouldn’t recommend getting any games-oriented PC with less than 1GB of RAM these days, although 2GB would be overkill for this specification. But the 512MB upgrade will set you back £75 plus VAT, which is a tad pricey. 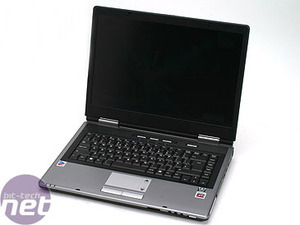 You can also swap the ATI Mobility Radeon X700 graphics for NVIDIA GeForce 6600 for an additional £50 plus VAT. This will only improve graphics performance in some benchmarks, although it does have twice the memory (256MB versus 128MB). Eurocomm has launched the D901C Phantom-X laptop, which features up to 8GB of RAM, a RAID 5 storage system, and an Intel Xeon Quad Core 2.83GHz CPU. 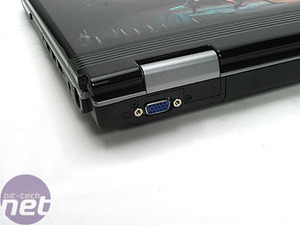 In a laptop. Rock's former head of sales, Paul Bicknell, stole computers to fund a lifestyle of fast cars and online gambling.